Traditionally, sales staff have had to store such documents on a default drive so that they can access and sent to leads, prospects, and customers as needed. But this of course takes additional time: the salesperson or sales admin must locate documents, then link to them or attaching them to an email. With today’s level of technology, there should be a much faster way of managing documents for sales. 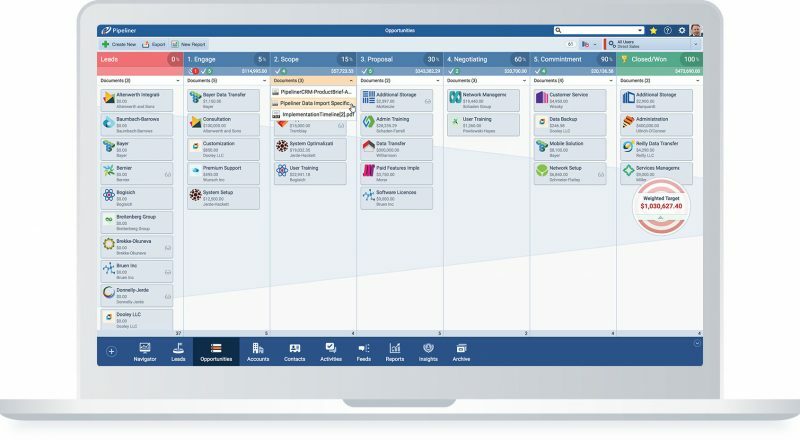 And, there is: with Pipeliner CRM Sales Document Management features. One method of Pipeliner document management is its integration with Google Drive. Pipeliner CRM seamless integrates with Google Drive, making it easy for users to add, manage and collaborate on files. Share and collaborate on documents with your sales team using Google Drive—then attach your files with just a few clicks to any lead, sales opportunity, contact, or account in Pipeliner CRM. Because you can also attach documents to any Pipeliner CRM sales stage, you can also freely share sales best practices throughout your sales pipeline. Simply attach your collaborative sales best practice documents directly to any stage in the sales process. Google Drive allows you to store all your files in one place, so you can access them from anywhere and share them with others easily. With the Google Drive App for Pipeliner CRM installed, you will be able to access all Google Drive documents conveniently from within Pipeliner CRM.